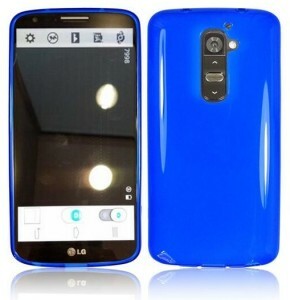 LG Optimus G2 specifications – What we know so far! 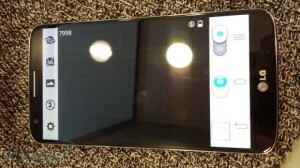 You are here: Home / LG / LG Optimus G2 specifications – What we know so far! The LG now seems to be waking up after 3-4 months and now working hard to compete with other brands and gain their lost market share in Android smartphone. Since 3-4 months, nothing big came from LG but now it seems like plans may go in favor of LG. There are already lots of rumors going on about a new high end Android smartphone of LG which will be the crown smartphone for LG and now it seems like the device is real and its known by LG Optimus G2. Since starting into manufacturing of Android smartphones, LG has kept them under Optimus family and this device will join the family soon in August. Let me tell you the LG G2 specifications now which are known so far. The major change in the design is its design. The front look is similar to higher end Optimus devices but the back part has got some unique stuff. For the first time, LG has shifted the volume rocker to the rear and now users can control the volume from the back. As the device is still not launched so nothing can be said on whether this plan will work or not but it’s good that LG came up with a unique stuff. As per the leaked images are concerned the body seems to be made up of glossy plastic that will give cheap quality feel and it will not help the device at all. Galaxy S4 is already in some trouble due to this kind of low quality build but let see what exactly LG brings out in this device. The display is going to be added on 1080p resolution panel and it will measure 5.2” diagonally. The display quality of LG is already known to the world so the device will be definitely attracting users as per display is concerned. The LG Optimus G2 is powered by a Snapdragon 800 chipset of Qualcomm that will be clocked at 2.3GHz and there will be 2GB of RAM to provide the storage support to the CPU. GPU is also expected to take the seat within the box and the internal storage is going to 32GB. LG will bring out 13MP rear camera in the Optimus G2 that we’ve already seen in many smartphones launched from the starting of this year. Now let see what quality LG brings out in this rear camera. The front camera is expected to have at least 2MP sensor. The LG Optimus G2 is going to run on Android 4.2.2 Jelly Bean which is outdated version of the OS now but still it’s good to have this version than having any previous ones. In future it will definitely receive the Android 4.3 update. LG Optimus G2 is going to be launched in the month of August, 2013 and according to latest rumors it will go on sale in US from September, 2013. Stay tuned for all live updates about G2.